I never do this, but I have to confess to buying this book because of the ukiyo-e art on the cover. It is called "Ōtani Oniji III as Yakko Edobei in the Play "Koinyōbō Somewake Tazuna," a fact I picked up by visiting the website of New York's Metropolitan Museum of Art. The artist's name is Tōshūsai Sharaku, and he produced this piece in 1794. As it just so happens, Sharaku plays a featured role in this book, although the story is set in modern times (well, at least in the 80s when it was written). The Case of the Sharaku Murders is a good book, although it's probably more appealing to people who have an interest in a) the history of Ukiyo-e or Japanese art in general, b) Japanese history, and c) murder mysteries anchored in the world of academia. Geeky me has a fascination with all three. Another thing I ought to mention before launching into this book: the dustjacket notes that it is "specially selected for the Japanese Literature Publishing Project, started in 2002 " to promote the awareness and popularization of modern Japanese literature to the world." The Case of the Sharaku Murders begins on a dark and windy night with two men looking for someone along the cliffs on Japan's northeast coast near Tanohata. The man in question has a vacation cottage there, and a phone call made earlier in the day had led the two men to search for him. One of the searchers is the man's brother-in-law, Mizuno Keiji, who had filed a missing persons report when the search proved fruitless. A newspaper article four days later reveals that the missing man is Saga Atsushi, an award-winning calligrapher, chairman of the Tokyo Bibliophilic Society, scholar of ukiyo-e and a "central figure in the Ukiyo-e Connoissership Society," and that his body had been found floating in the ocean, picked up by a man on a squid fishing boat. The verdict is suicide. At Saga's funeral, two university friends, Ryohei and Yosuke, run into each other for the first time in over two years. Both had (at different times) been students at Musashino University, and both had studied under Professor Nishijima, who taught art history, who is a foremost authority on ukiyo-e, and an expert on the artist Sharaku. Ryohei became Nishijima's research assistant while Yosuke, who took a job in a trading company, had a falling out with another alum and Nishijima student Yoshimura Kentaro. Nishijima's powerful clout in the art world ensured that the students he favored would acquire great jobs in publishing, museums, and other forms of mass media. The action starts when Mizuno sells Ryohei a book from Saga's collection, a painting catalogue of Akita School paintings. Going through the preface, Ryohei discovers something interesting -- and teaming up with Yosuke and his sister Saeko, he begins a research project of his own that might possibly turn out to be the greatest find in the world of ukiyo-e. But, after people connected to Ryohei, Yosuke and their quest begin to die, a police inspector begins to wonder if the death of Saga was a suicide after all. While there's so much more to this book, murder is at its heart, and there are a number of possible suspects to keep things interesting -- once the author leaves the history of ukiyo-e behind. I would estimate that about one third of the book is an exposition on the history of this art form, although since the story involves Ryohei's research, it seems justified here. On the other hand, he throws in so many names, places, and historical periods that I had to start keeping a list of who was who, where they were, yada yada. 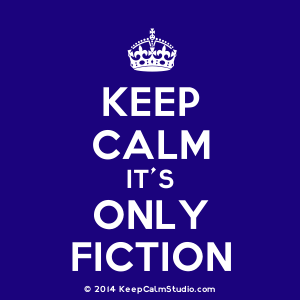 Once the writer gets back to the mystery, there is twist after twist, especially one really big one that I never saw coming, turning the story completely on its head. The point is that this is a book I had to take my time reading -- it got a little boggy with so much detail -- but the payoff was a good, solid whodunit. Along with the history of ukiyo-e and a smattering of Japanese history, it also explores the "dog-eat-dog world" of academia and the professional rivalries that exist within the art world. 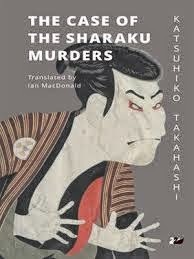 The Case of the Sharaku Murders is only the first of a trio called the "Ukiyo-e Murder Trilogy," but the other two have not yet been translated. Although I would definitely read another book by this author based on this one, it's not a book for people who want a quick, slam-bam mystery so while I recommend it, it's definitely not for everyone. If you are into Japanese fiction, or Japanese art history, it might be right up your alley, but it's so specialized and detailed that I can understand people being less than awed. However, as I noted earlier, sticking with it brings a very nice and twisty payoff. Nancy - Oh, this one interests me! I'm a history/academia geek too, and the art world fascinates me. This one goes on the list. Thanks. Keep your Ipad or at least a piece of paper and a pencil nearby -- and don't skim! It all has relevance in the long run. Well, the cover, murder & academia appeal to me, but I'm less sure about Japanese history so the verdict is still out here. I am a history fanatic so it's appealing, but definitely not for everyone. Normally so much detail bothers me, but here it just works. It sounds fascinating to me. I've liked the Japanese crime fiction I've read. It is fascinating -- just very detailed.